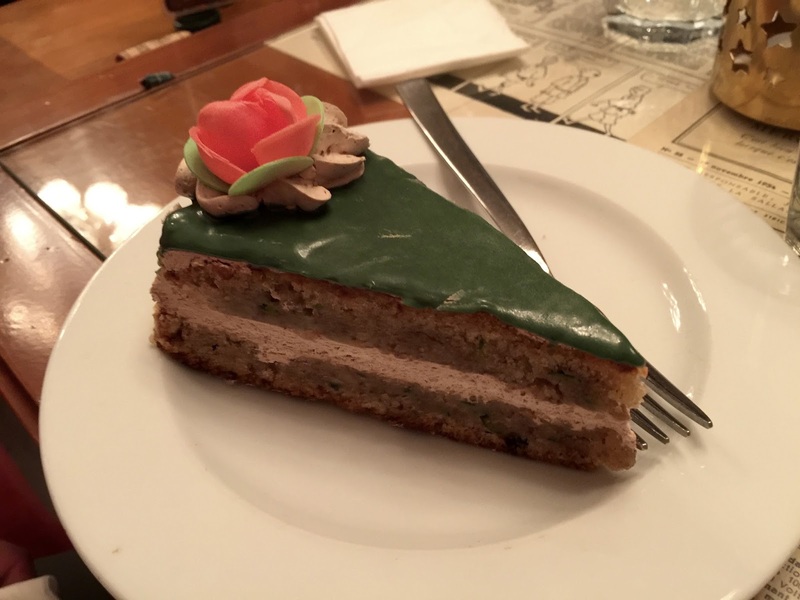 I enjoyed my first visit to a restaurant only offering vegan cuisine. 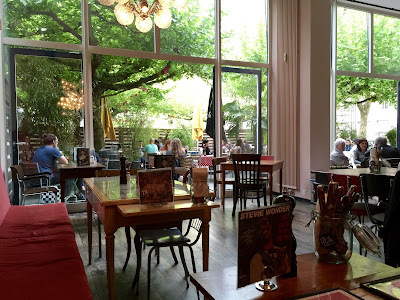 As a flexitarian I am open to get to know such food concepts and was not disappointed by Ell’n’Belle! When we were there on a Saturday evening, the restaurant was busy. It’s a large place, with a great outdoor area, too. 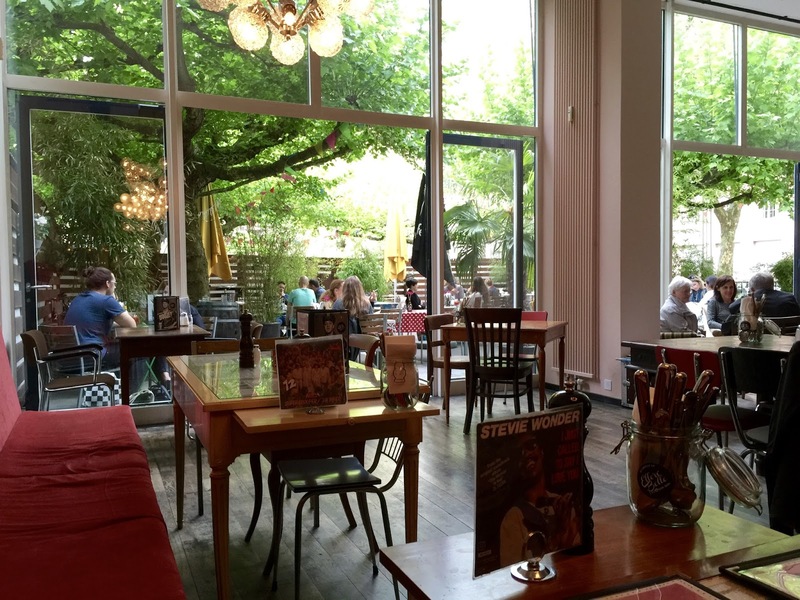 Its decor is unconventional, with funky seats and tables. When it comes to food, it is – as already said – all vegan. 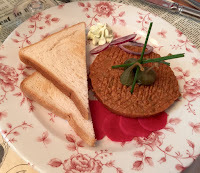 In my view, there are quite many “mock meat” options such as tartar, looking and tasting like a beef tartar. Personally, I prefer vegan dishes where the appearance and the flavor are non meaty, but that is question of taste. The choice is interesting. The dishes – with funny names – are inventive, a somewhat wild mix of ingredients is combined in such a way that a tasty final product results out of it. The menu is seasonal and changes every two months. When I was there as part of a group of six we sampled quite a few of the dishes. Here are some of the more popular ones with our party. Regarding starters “More” is a good choice. This is an antipasto of carrots with Balsamic vinegar accompanied by hummus of peas and mint, sour cream with ginger, cress salad and sticks of pita bread. 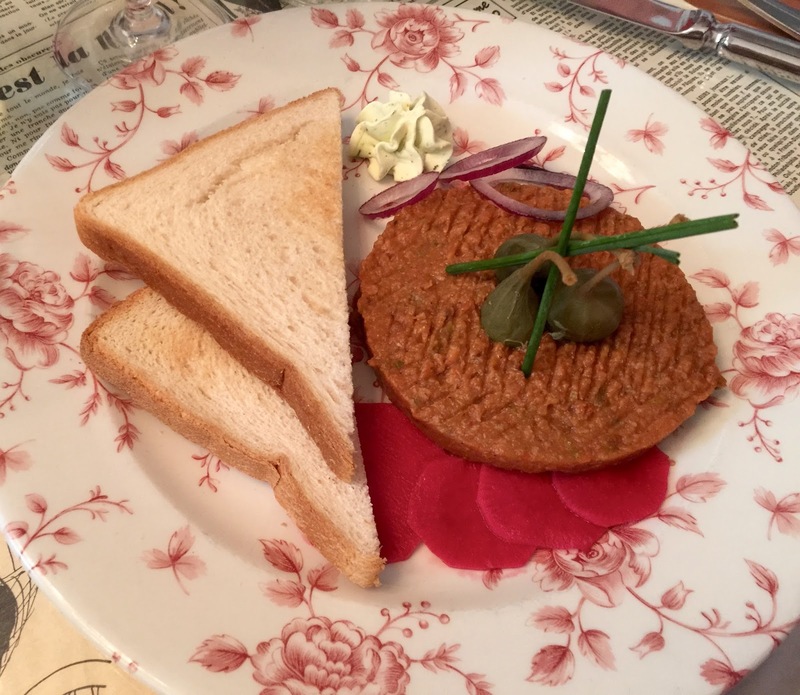 Another recommended starter (and main as well) is “Bliss”, a vegan tartar that seems to be one of their signatures dishes. 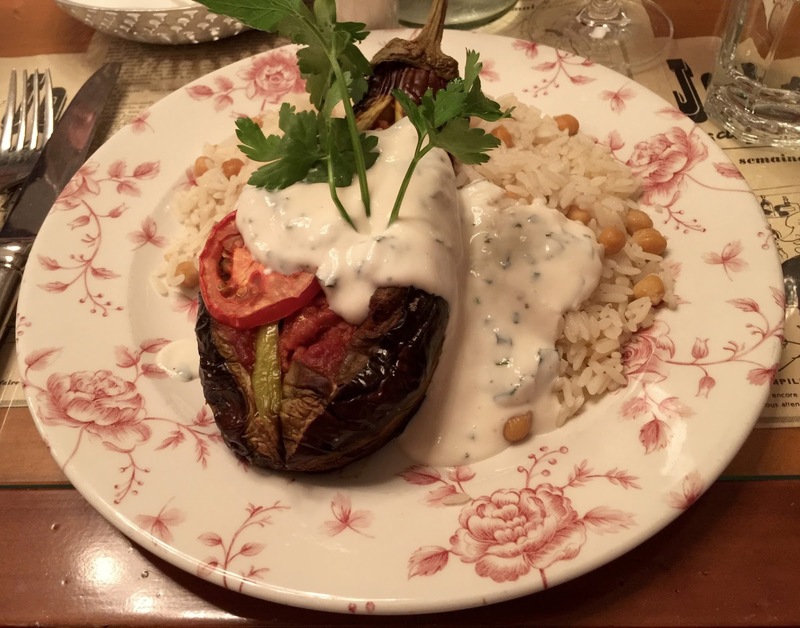 A popular main with our group was “Kismet”, an eggplant filled with mince of soy and tomatoes together with pilaf rice with chickpeas in it and mint raita. “Sempre Sempre”, a lasagna with bolognaise of lentils coming along with chard, spring vegetables and wild garlic topping, was another favorite. As to desserts, the cakes are a safe option, especially the cake with zucchetti, nuts and nougat is a hit. All in all, Elle'n'Belle is a good choice for people looking for something a bit away from the beaten path. You do not have to be a vegan to enjoy the well prepared and tasty meals. The hip chic decor and the amiable service personnel are other plus points.